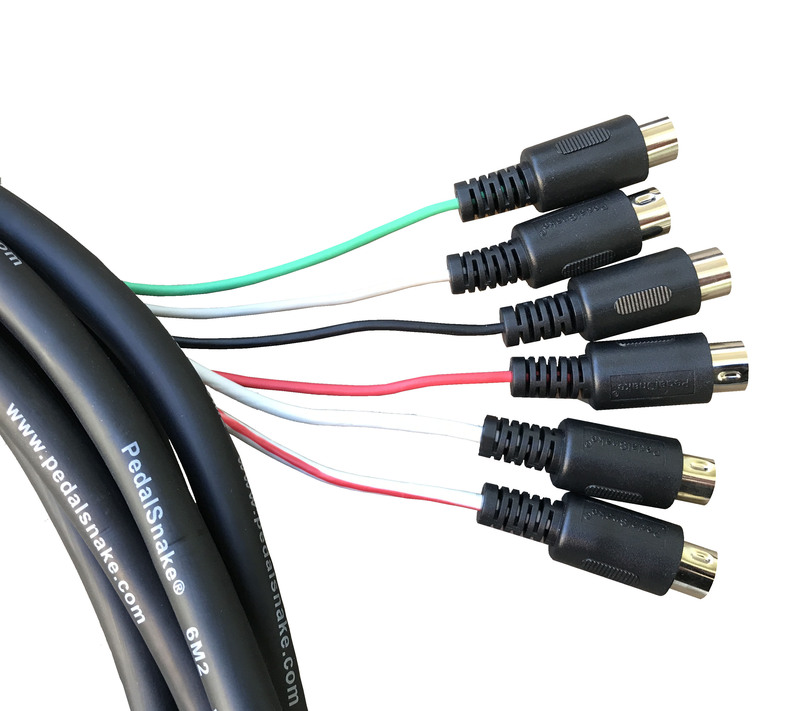 Your PedalSnake System starts with the BaseSnake. Choose from 4-channel or 7-channel, 18 or 24 feet. See BaseSnakes, BaseSnake Channels, and BaseSnakes and Pigtails. 7-channel 24 foot BaseSnake: (6) 3wire channels, (1) white 5wire channel. 7-channel 18 foot BaseSnake: (6) 3wire channels, (1) white 5wire channel. 6-channel 24 foot BaseSnake: (4) 3wire channels, (2) white 5wire channels. 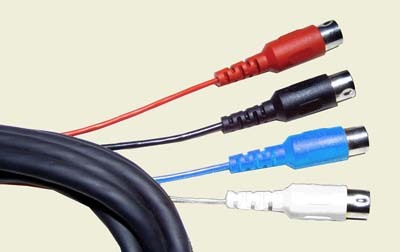 4-channel 24 foot BaseSnake: (3) 3wire channels, (1) white 5wire channel.